One year ago, Green Party MP Caroline Lucas along with a coalition of celebrities, academics and three Labour MPs called for the City of London’s lobbying activities to be investigated by Parliament’s anti-sleaze watchdog. In China Mieville’s novel The City and The City, two cities coexist in the same space, but must “unsee” each other, pretending the other doesn’t exist. “Breach” between the two is a major crime. Every day in parliament, our elected representatives “unsee” the City’s powers. The Green Party is the only party to have committed “breach”, drawing attention to the “feudal anachronism” of the City Remembrancer, for example and calling for him to be expelled from the House of Commons. The City Remembrancer, a figure dating back to 1571 is the only non-MP allowed on the floor of the House of Commons; an official lobbyist who sits behind the Speaker’s chair and ensures that the City’s rights and privileges are protected. As UK debt continues to spiral upwards, doubling since 2008, with – as the Telegraph noted last month – the inclusion of the Bank of England’s Asset Purchase Facility adding a further £42.4 billion to the debt burden – tough questions have to be asked of the City and the financial sector. This holds true in the UK too. Meanwhile, the UK government spends £1 billion per week on debt interest; three times as much as Whitehall has saved on “efficiencies”. And the “austere” government continues to borrow and borrow and borrow more, as tax revenues fall because job creation is so low wage, oil prices fall (as does production from our nearly empty North Sea fields) and ideas run equally dry. While billions and billions are ploughed into the financial sector (even the Bank of International Settlements acknowledges that this is to the “benefit of Wall Street and detriment of Main Street”) local services are slashed back in the name of austerity. 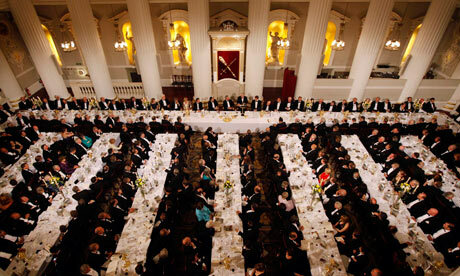 For almost 1,000 years, the City of London Corporation has resisted virtually every attempt by monarchs, governments or the people to rein in its vast wealth and influence. From the murder of peasant revolt leader Wat Tyler by the lord mayor of London and his men in 1381, to the dispatching from the City to Northern Ireland of rural refugees forced off their land in 17th-century land reforms, the corporation has long been a guiding hand in British history. We have to keep trying however. And the only party trying is the Green Party.